From classic cars to Afrobeat Led Zeppelin, here's where to take your pops on June 16. The largest open-air classic car show in the Midwest happens at a mall in Oakbrook. Take your pops to see more than 90 antique, classic, vintage and specialty automobiles, including rare and one-of-a-kind vehicles dating back to the early 20th century. If you're someone who'd rather watch paint dry than examine prehistoric Model-Ts and fussed-over Ferraris, try to remind yourself that today's all about whatever toots Dad's horn. Oakbrook Center. Sunday 10am–6pm. Free. Get back to nature at one of the most scenic places in Chicagoland. When you're not exploring the 1,700-acre arboretum's many trails and exhibitions, you can stop for a Southern barbecue lunch in Arbor Court and enjoy live entertainment by White Saddle Band. Morton Arboretum. Sunday 11am–3:30pm. $12, seniors 65 and older $11, kids ages 2–17 $9. 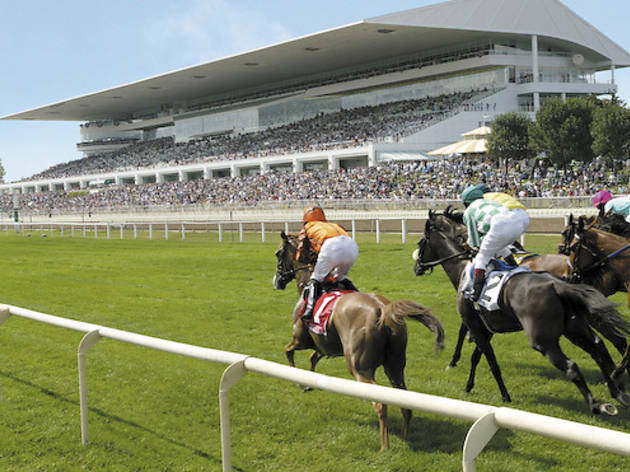 Father's Day at the Arlington Park Racetrack is a family affair. There are activities for kids, including free pony rides, a petting zoo and a Father's Day tie craft. Meanwhile, dads can enjoy the other things Arlington has to offer: food, drink, wagering and thoroughbred racing. Gates open at 11:15am. 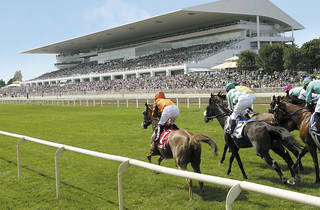 Arlington Park Racetrack. Sunday, first post at 1pm. $12, kids $2. In the immortal words of a dad (and composer and jazz musician) named Duke Ellington, "It don't mean a thing if it ain't got that swing." Duet Dance's Father's Day party includes a 45-minute beginner swing dance class, a half hour of open dancing, a photobooth and light snacks. BYOB. Appropriate for kids ages five and up. Duet Dance. Sunday at 2pm. $20, kids under 12 $10. Does Dad like Zeppelin? Does he like Zeppelin cover bands? Does Dad like Zeppelin cover bands that mix in Fela Kuti, Thomas Mapfum and traditional African drumming? Well, if not, he's about to: AfroZep—a group that gives classic Led Zeppelin songs the Afrobeat/Afropop treatment—is playing a Father's Day show, and your old man gets in free. Come and find out if the song remains the same with the addition of djembe. Lincoln Hall. Sunday at 7pm. $12, advance $10. Free for dads who bring their kid(s). RECOMMENDED: Where to do your Father's Day dining.